Notre Dame Cathedral, the world’s best-known example of Gothic architecture, was partially destroyed in a fire. The church requires extensive restoration, but this is not the first time that Notre Dame has fallen into ruin. When Victor Hugo wrote his 1831 novel Notre Dame de Paris (known as The Hunchback of Notre Dame in English) the church was in disrepair. 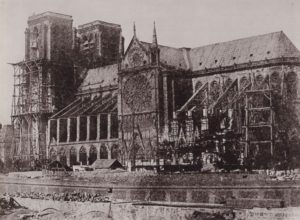 Hugo’s novel inspired a restoration starting in 1844, and architect Eugene Viollet-le-Duc created much of what we, until last Monday, associated with Notre Dame. 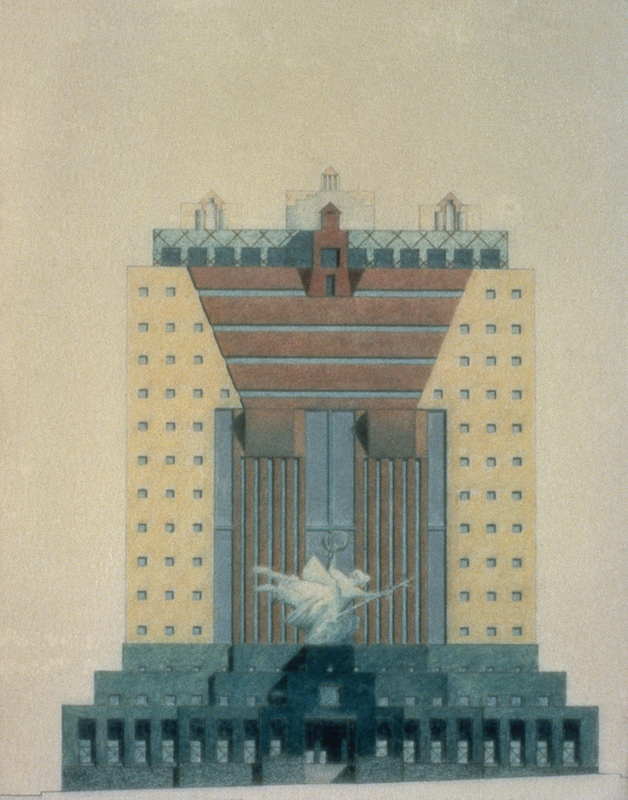 The picture below is from 1847, during Viollet-le-Duc’s restoration. Note the lack of spire, which had yet to be built. Change, even tragic change, is a fact of life for monuments, and in this episode we also look at how other famous sites have been transformed throughout their history. In 1980 a mysterious benefactor who only identified himself as “R.C. Christian” commissioned a granite monument in rural Georgia bearing advice on how to reconstruct civilization after the apocalypse. Unfortunately, it’s not very good advice. If it’s ever completed, South Dakota’s Crazy Horse Memorial will be the largest statue in the world. The gigantic structure will feature the Lakota leader’s face, upper body, and mount, and will dwarf every other monument and memorial on Earth. Crazy Horse’s head and headdress, for instance, will be larger than Mount Rushmore. If, that is, the work is ever completed. The first blasts to transform Thunderhead Mountain into a memorial were in 1948, and since then, only Crazy Horse’s face has been totally carved. The memorial is also controversial among present-day Lakota, many of whom do not think that blasting into a mountain is the best memorial to Crazy Horse. One person who’d almost certainly opposed to the memorial is Crazy Horse himself. The Lakota leader did not allow himself to be photographed, and turning his image into a statue of epic proportions seemingly runs counter to what the man himself believed in.